We are committed to delivering the best service possible to the people of Essex, Hertfordshire and the surrounding areas. 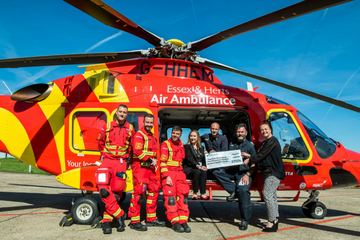 We encourage feedback from everyone who has had contact with Essex & Herts Air Ambulance, be it positive, negative or simply with ways in which you think we could improve our service. If you have been dissatisfied in any way, please let us know. We will then respond with the action that we propose to take. You can read and download our full Public Complaints Procedure, or you may obtain a copy by calling the Fundraising Office on 0345 2417 690.